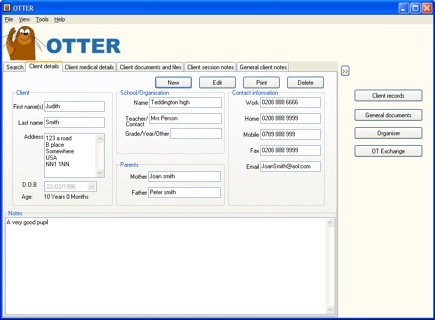 OTTER is a data management system designed for teachers, therapists and professionals who require a powerful client and document management system to store information on clients and their activities. Fast and friendly storage and retrieval of client records. Create reports, letters, forms and other documents with ease. 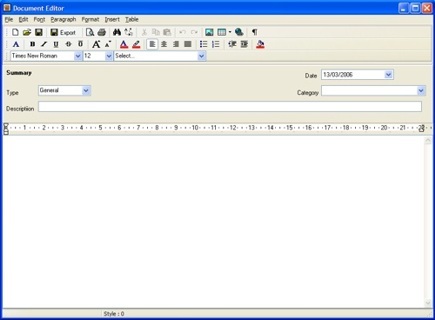 Create documents using the powerful internal editor or import from a range of formats. Attach ANY file to a client record for future reference. Store notes on client interactions. Store appointment, contact and scheduling information. Manage all of your tasks and activities. Embed your preferred website for research and easy access. Share information with other users on a network.